Perhaps unrivalled in football, the man known as ‘Mr. Liverpool’ gave 49 years to Liverpool football club, as a player, coach, physio, reserve-team coach, assistant manager and caretaker manager. The outpouring of tributes from former Liverpool players highlights the contribution he made to the club. I caught the very tail end of Liverpool’s dominance of English football, but of my earlier memories of watching Liverpool games the image of Ronnie Moran in the dugout sticks out; whether I actually remember from that time or the clips in the following years I have that memory of Ronnie Moran in the dugout with Kenny Dalglish. For older Liverpool fans their memories might be of Ronnie Moran in beside the likes of Joe Fagan, Bob Paisley or even the godfather himself, Bill Shankly. That is what is amazing about Ronnie Moran, he lived it all. Born in Crosby, Liverpool, Ronnie Moran joined Liverpool FC as a schoolboy in 1949 and went on to make 379 appearances for the club. 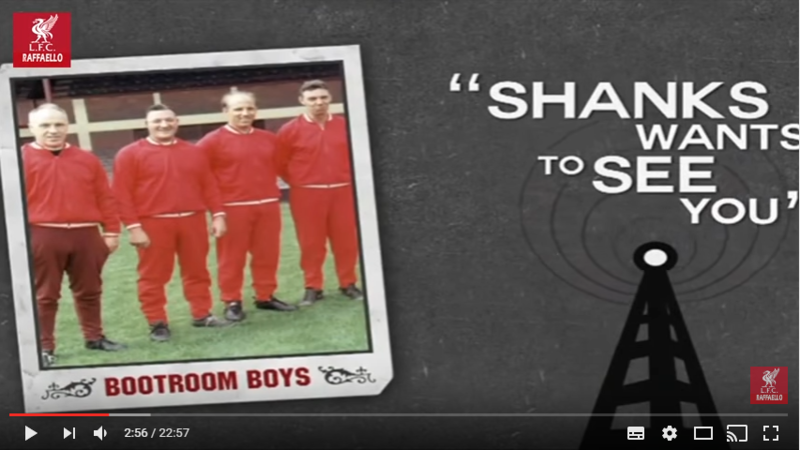 He was club captain when Bill Shankly took over Liverpool in 1959 and later with his playing career coming to an end Shanks asked him to join the backroom staff, becoming part of the famous Anfield Boot Room in 1966. From there he remained the one constant working with all of the great Liverpool managers. Ronnie Moran’s trophy cabinet speaks for itself, winning medals galore! 13 league championships, four European Cups, two UEFA Cups, five FA Cups and five League Cups during his 49 years at the club. He was part of the most glorious period in Liverpool’s history. For me, this comment from Ronnie Moran on winning sums up his mind-set and the winning mentality he brought to Liverpool: “I won a few things, I had a little bit of success. You just think: I’ve done that, can I do it again?”. Outside of Liverpool FC and its football family, there will likely be many football fans unaware of who Ronnie Moran was. This point was driven home over the weekend when I tried to buy the recently released biography on Ronnie Moran – “Mr Liverpool: Ronnie Moran: The Official Life Story” – but none of the bookstores in Rathgar, Rathmines or the City Centre had the book. The bookstore in Rathmines had ordered two but they were already sold whereas the other bookstores hadn’t even ordered a copy. Considering the raft of books on the shelves from current players – even Mario Balotelli – I couldn’t help feeling annoyed. Of course, Ronnie Moran doesn’t have the iconic status held by others in the game given that he was more of a behind the scenes character. 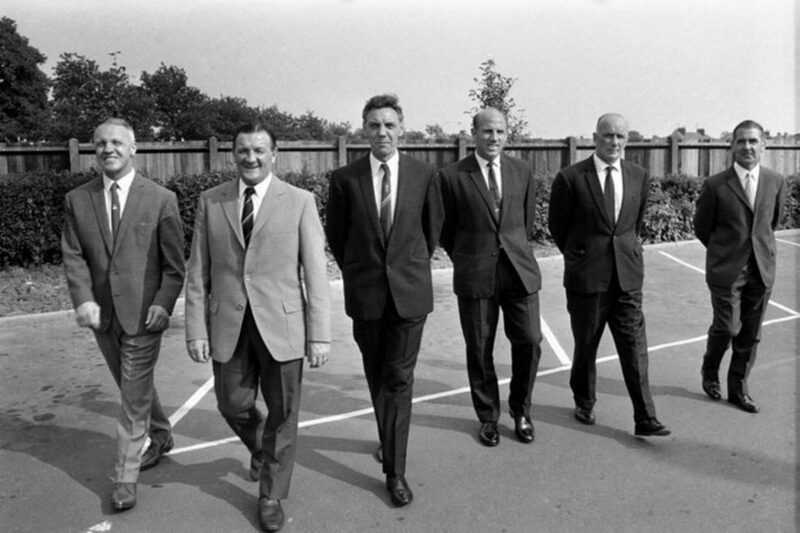 However, as is the case with every football club, business or any organisation in general, success cannot be achieved without these characters. If Liverpool are to regain the heights of years gone by it will be men of his ilk they will need. Passion, enthusiasm and an unyielding desire to give his best and push others to do the same. Ronnie Moran lived his dream with the club he loved. A true Liverpool legend! YNWA.